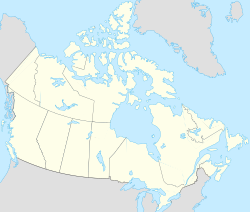 The Inuvialuit Settlement Region (ISR), located in Canada’s western Arctic, was designated in 1984 in the Inuvialuit Final Agreement by the Government of Canada for the Inuvialuit people. It spans 90,650 km2 (35,000 sq mi) of land, mostly above the tree line, and includes several subregions: the Beaufort Sea, the Mackenzie River delta, the northern portion of Yukon ("Yukon North Slope"), the northwest portion of Northwest Territories, and the western Canadian Arctic Islands. The ISR includes both Crown Lands and Inuvialuit Private Lands. The ISR is one of the four Inuit regions of Canada, collectively known as Inuit Nunangat, represented by the Inuit Tapiriit Kanatami (ITK). The other regions include Nunatsiavut in Labrador, Nunavik in northern Quebec, and the territory of Nunavut. The ISR is the homeland of the Inuvialuit. The Inuvialuit Regional Corporation, established in 1986 as the receiver of the lands and financial compensation of the Inuvialuit Final Agreement, is controlled by the Inuvialuit population and is responsible for ISR operations. From 1996 until 2016, Nellie Cournoyea, former Premier of the Northwest Territories, was the Chair and CEO of the Board. She had been elected nine times before declining to run again. In 2016, Duane Ningaqsiq Smith, was elected to replace her and was re-elected in 2019. The Inuvialuit Settlement Region Database contains descriptions of thousands of publications and research projects about the ISR. It is maintained by the Joint Secretariat—Inuvialuit Renewable Resource Committees and the Arctic Science and Technology Information System. Funding comes from Shell Canada and MGM Energy. In the 2016 Canadian Census, the ISR population was 5,336 people, of which 3,110 were Inuvialuit and formed a majority in all six communities. There are no communities in the Yukon North Slope. Of the six communities in the ISR all are located in the Northwest Territories and, along with Fort McPherson and Tsiigehtchic, form the Inuvik Region. Inuvik, located on the East Channel of the Mackenzie Delta, approximately 100 km (62 mi) from the Arctic Ocean, is the region's administrative centre, home to the Inuvialuit Regional Corporation. The only other inland community, Aklavik, is located on the Peel Channel and is home to Aurora College. Hunting, fishing and trapping are the major economic activities of Paulatuk, in Amundsen Gulf's Darnley Bay, and Sachs Harbour, the only permanent settlement on Banks Island. Tuktoyaktuk, formerly known as "Port Brabant", is set on Kugmallit Bay, near the Mackenzie River Delta. It has the only deepwater port in the ISR. Ulukhaktok, formerly known as "Holman", is located on the west coast of Victoria Island. Printmaking has taken over as the primary source of income in recent years. Herschel Island, which is uninhabited, is part of the ISR although in Yukon and was traditionally used by the Inuvialuit. English is spoken in the entire region. Additionally, Siglitun is spoken in Paulatuk, Sachs Harbour and Tuktoyaktuk. Uummarmiutun is spoken in Inuvik and Aklavik. Inuinnaqtun is spoken in Ulukhaktok and nowhere else in the Northwest Territories. Together they are grouped under Inuvialuktun. The Inuvialuit Renewable Resource Conservation and Management Plan sets the strategy for fish and wildlife management and conservation. Integrated management planning of the region's marine and coastal areas is described in the Beaufort Sea Integrated Management Planning Initiative. Wildlife includes Arctic char, Arctic fox, beluga whale, bearded seal, bowhead whale, caribou, moose, muskox, polar bear, ringed seal, and whitefish. Migratory bird management within the ISR is handled by policies, principles, and regulations described in the Conservation of Migratory Birds in the Inuvialuit Settlement Region report. The ISR's Inuvialuit Private Lands are divided into those where the Inuvialuit own surface and subsurface minerals, or those lands with only surface rights. The area is rich in non-renewable hydrocarbon resources. There are proven commercial quantities of natural gas, nickel, petroleum, and zinc. ^ a b "Aboriginal Population Profile, 2016 Census Inuvialuit region [Inuit region], Northwest Territories". Statistics Canada. April 13, 2016. Retrieved April 13, 2016. ^ "Concluding and Implementing Land Claim and Self-Government Agreements". Government of Northwest Territories. Retrieved 2018-03-02. ^ Berkes, Fikret; Rob Huebert; Helen Fast; Alan Diduck; Micheline Manseau (2005). Breaking Ice: Renewable Resource and Ocean Management in the Canadian North. Arctic Institute of North America. University of Calgary Press. p. 95. ISBN 1-55238-159-5. ^ "Inuit Tapiriit Kanatami (ITK) is the national Inuit organization in Canada". itk.ca. Retrieved 2009-03-17. ^ "IRC Representing the interests of the Inuvialuit in the Western Arctic region". inuit.pail.ca. Retrieved 2009-03-19. ^ "Inuvialuit Settlement Region Database". aina.ucalgary.ca. Retrieved 2009-03-16. ^ Balanoff, Helen; Cynthia Chambers; Alice Kaodloak; Emily Kudlak (2006). ""This is the way we were told": Multiple literacies in Ulukhaktok, Northwest Territories" (PDF). Presented at the 15th International Inuit Studies Conference. nwt.literacy.ca. p. 2. Retrieved 2009-03-17. ^ "Canadian Climate Normals 1981–2010" (CSV (3069 KB)). Canadian Climate Normals 1981–2010. Environment Canada. Retrieved 2014-01-09. ^ Bailey, John. "Migratory Bird Management in the Inuvialuit Settlement Region". Canadian Arctic Resources Committee. Retrieved 2009-03-16. ^ "Appendix A" (PDF). NWT & Nunavut Chamber of Mines. p. 3. Retrieved 2009-03-17. 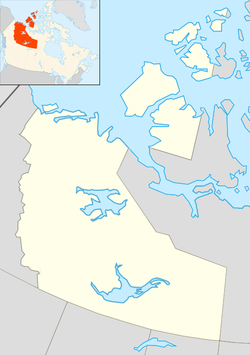 ^ "Inuvialuit Settlement Region". Aurora Research Institute. February 13, 2008. Retrieved 2009-03-16. ^ Stern, Pamela R. (2004). Historical Dictionary of the Inuit. Scarecrow Press. p. 81. ISBN 0-8108-5058-3.